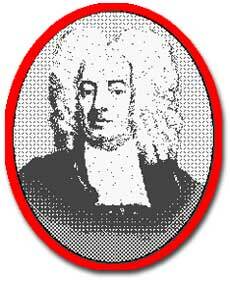 As minister of Boston's Old North Church, Cotton Mather was a popular voice in Puritan New England. His involvement in the witch trials of the 1680s would bring him even more notoriety. New England life seemed to burst with possibilities. The life expectancy of its citizens became longer than that of Old England, and much longer than the Southern English colonies. Children were born at nearly twice the rate in Maryland and Virginia. It is often said that New England invented grandparents, for it was here that people in great numbers first grew old enough to see their children bear children. Literacy rates were high as well. Massachusetts law required a tax-supported school for every community that could boast 50 or more families. Puritans wanted their children to be able to read the Bible, of course. Massachusetts Bay Colony was a man's world. Women did not participate in town meetings and were excluded from decision making in the church. Puritan ministers furthered male supremacy in their writings and sermons. They preached that the soul had two parts, the immortal masculine half, and the mortal feminine half. 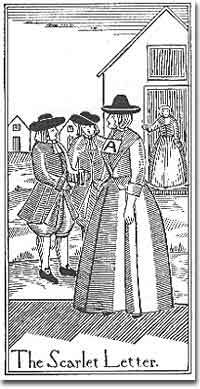 Puritan law was extremely strict; men and women were severly punished for a variety of crimes. Even a child could be put to death for cursing his parents. It was believed that women who were pregnant with a male child had a rosy complexion and that women carrying a female child were pale. Names of women found in census reports of Massachusetts Bay include Patience, Silence, Fear, Prudence, Comfort, Hopestill, and Be Fruitful. This list reflects Puritan views on women quite clearly. Church attendance was mandatory. Those that missed church regularly were subject to a fine. The sermon became a means of addressing town problems or concerns. The church was sometimes patrolled by a man who held a long pole. On one end was a collection of feathers to tickle the chins of old men who fell asleep. On the other was a hard wooden knob to alert children who giggled or slept. Church was serious business indeed. The Puritans believed they were doing God's work. Hence, there was little room for compromise. Harsh punishment was inflicted on those who were seen as straying from God's work. There were cases when individuals of differing faiths were hanged in Boston Common. Made famous by author Nathaniel Hawthorne in his book of the same name, the Scarlet Letter was a real form of punishment in Puritan society. Adulterers might have been forced to wear a scarlet "A" if they were lucky. At least two known adulterers were executed in Massachusetts Bay Colony. Public whippings were commonplace. The stockade forced the humiliated guilty person to sit in the public square, while onlookers spat or laughed at them. Puritans felt no remorse about administering punishment. They believed in Old Testament methods. Surely God's correction would be far worse to the individual than any earthly penalty. Contrary to myth, the Puritans did have fun. There were celebrations and festivals. People sang and told stories. Children were allowed to play games with their parents' permission. Wine and beer drinking were common place. Puritans did not all dress in black as many believe. The fundamental rule was to follow God's law. Those that did lived in peace in the Bible Commonwealth. The dozens of sermons on this site give a clear view of the concerns of the Puritan clergy. Pick a subject and travel back in time 300 years. Thomas Knowlton to Jury Trial for Wife Overdressing! Can you imagine overdressing being a crime? And it isn't a case of too many clothes, but of a poor person wearing clothes of too good a quality. Read about Knowlton's "clothes" call! What was life like in the colonies? It certainly was different for the men and women of the Massachusetts Bay Colony than it was for the Jamestown settlers. This website from Learner.org presents comprehensive information about colonial settlement and life in the New World. There are even a couple pictures to go along with the detailed text. One cannot separate life in Puritan New England from the church. Religion dominated every aspect of Puritan society and family. 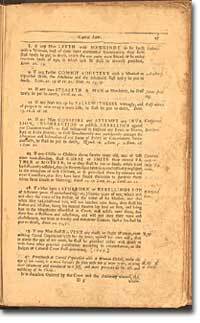 This website from Washington State University explores Puritanism in New England and the religious covenants that mandated life in the colony. What does Jack jumping over a candlestick, a game of jump rope, and the tongue twister, "She sheared six shabby sick sheep," all have in common? They were all games played by colonial kids. Solve a few riddles, learn how to play Nine Men's Morris, and see where some classic games come from. Bonus points for solving this riddle: "What has a mouth but cannot talk?" What do the bilboes, the ducking stool, the Stocks, and the branks and gags all have in common? They were all forms of punishment in Puritan Massachusetts.